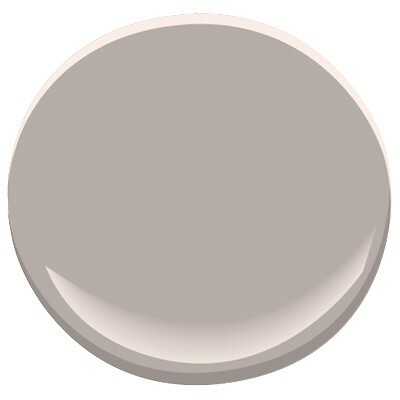 The paint color I chose is Benjamin Moore Elephant Gray 2109-50, which is gray-brown with a lavender undertone. It’s a sophisticated, barely-purple color that literally glows on the walls where there is good natural light. But don’t stop there. 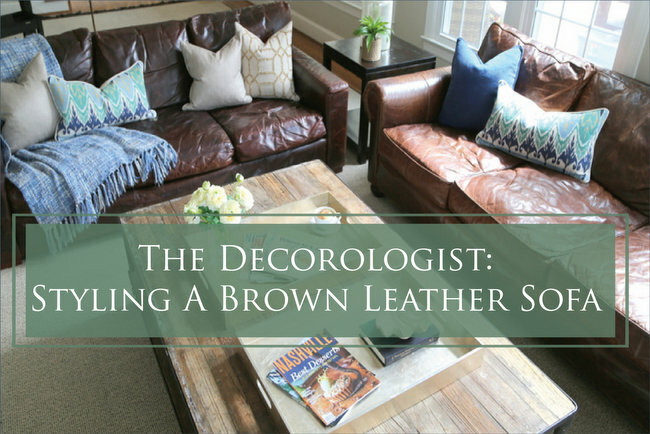 The art and the lighter, more lively colors in the pillows pulls the new color scheme together and downplays the dark brown sofa. Can you tell the difference? The look is definitely more updated, not so depressing. Sure, I’d like her to replace that sofa. But this is real-life decorating, and there’s a whole lotta choosing between “the lesser of two evils” in my business. Just keeping it real. 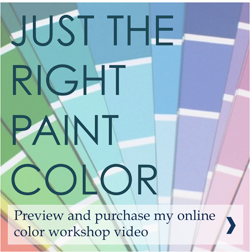 If you need help understanding paint colors, check out my video workshop on choosing the right paint colors for your home. 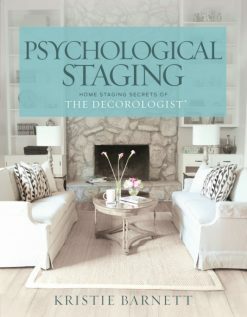 Putting a Fresh Face on a Dated Sofa – A Simple Home Staging Trick You Can Use! 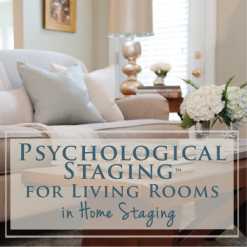 This entry was posted in Color Consultation and tagged 2109-50, benjamin moore, best paint colors, brown-sofa, dated, decorating, decorologist, elephant-gray, paint color, sofa, updating. I just had a client with the same sofa! I don’t recall the name of the color but it was similar to that gray with just a touch of coastal in it for color. Love your “after” picture – so much better. 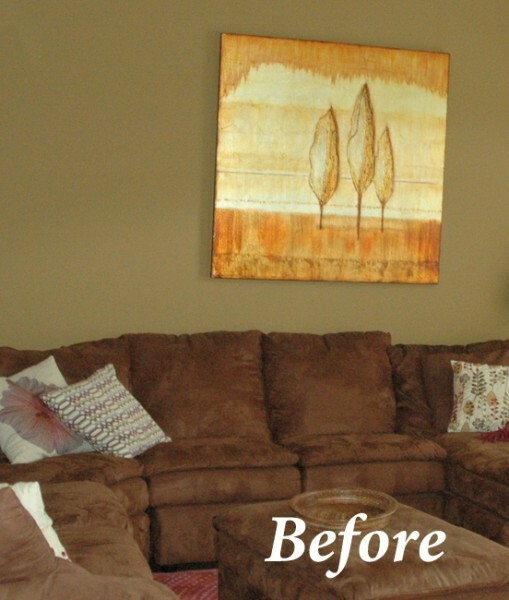 Personally, I prefer the artwork in the before photo. 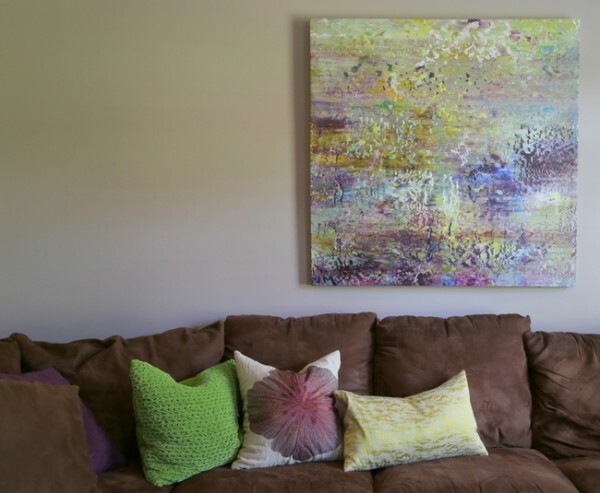 My client is actually using that piece of art in her kitchen now, and it looks even better there! So much better. I have a sad grayish-greenish monster of a sofa. I need pillows. Pretty ones. Thanks for this! Yes, I do this kind of thing all the time, Kristie! Wait…I thought gray was a bad idea? A passing fad? 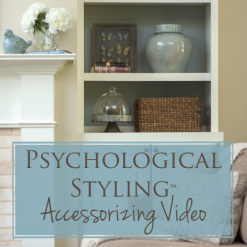 I wouldn’t say gray is a passing fad at all! This particular gray reads lavender, so there is “color” in it. It’s just not an in-your-face purple. Where do you suggest buying interesting art? I don’t want to spend a ton of money, but I also don’t want to buy what everyone else has b/c it’s cheap. Do you have any recommendations for places to buy art that isn’t “off the shelf”, but also doesn’t cost and arm and leg? Much better choice, I love Elephant Gray. I’ll need to keep this in mind when I run into a sofa like that at a consult. I have a friend that painted this color and it is great. The woodwork in my house is a honey oak and I do not want to paint it white. Do you think this color would look good with this woodwork? 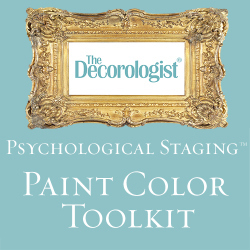 Have you done any articles on great paint colors for honey oak woodwork? Thanks! Honey oak is a limiting trim color, sigh. I know that greens and blues look best against honey oak. Neutrals tend to look blah with it, and grays don’t typically work for me. What an interesting and complex color! 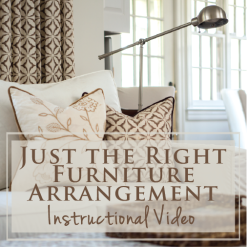 You definitely have to have real insight into color theory to make this choice–it works really well! 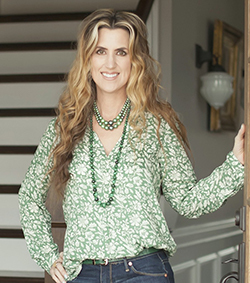 You are very encouraging, Kristie, in showing people how to update and create gratifying interiors while dealing with the reality of budgeting. Bravo! 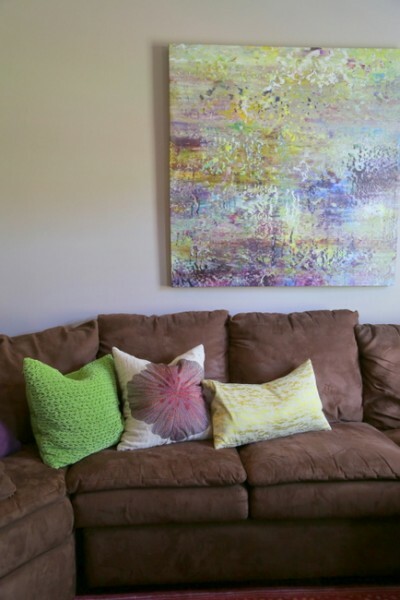 I can’t believe how much better that sofa looks with the art and the new wall color. Great job and thanks for sharing. 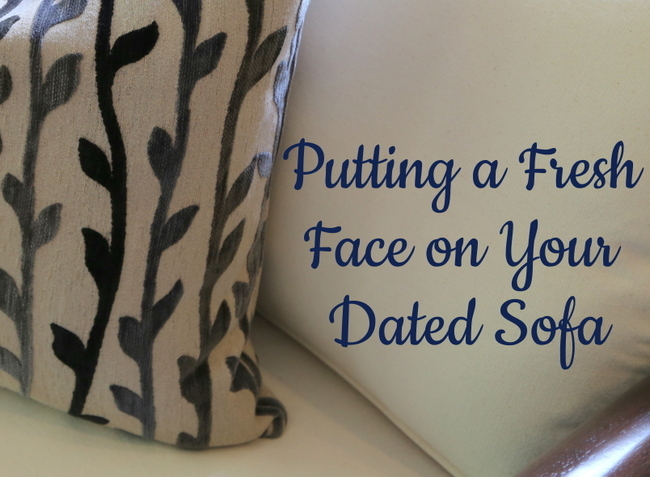 You’ve giving hope to the “big puffy sofa” owners. Thank you for your blog! Your attitude of “work with what you have” is refreshing and offers me hope and contentment with my house. 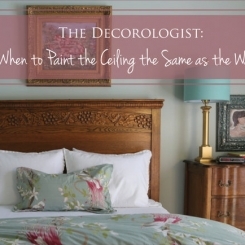 I really like the painting in the after picture it goes perfectly with the wall color! Any chance you could tell me where the painting is from? What sheen did you use for this project i.e. eggshell or flat etc?